John S. Hall reads Owls. Ron Kolm reads 8th Street Station (Yin-Yang). Your host, Bernard Meisler, recounts an amusing subway anecdote that happened on his way to the show. Pete Simonelli reads What Friends Say. Sparrow reads (very slowly) Poetry Toys. Way to make it last Sparrow! 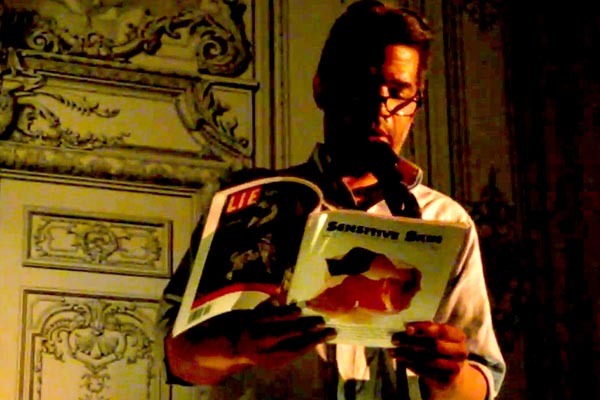 steve dalachinsky talks about blow jobs and Mayakovsky then finally reads the perfect child. Wanda Phipps reads Swallow the Evidence. Max Blagg reads Some of My Friends. Rob Hardin reads For an Infant in the Throes of a Fatal Condition. Rebecca Weiner Tompkins reads Landscape with a Bear in It Somewhere. Carl Watson reads Kiss of Kind. John Farris reads Call Up. Norman Douglas reads off on grand boulevard. Michael Carter reads Suspect Device. To wrap it up, Steve Dalachinsky reads It Is Not Here on Earth What I Am Seeking by the late great Jack Micheline. You can read all 30 poems and check out the beautiful artwork from our Poetry Month special here. Now be nice and go buy a copy – – yeah you, I’m talking to you – see that link below? – go ahead and click it and you will be delivered to a garden of earthly delights.